This café/bookstore is the first of its kind in the heart of the city. This little hybrid café expands across two floors to allow visitors to choose whether they want to read or eat first. The first floor, or the lower floor, is dedicated to the bookstore where they specialize in literature, philosophy, history, social sciences, art, architecture, cinema, music and children books with a wide selection of both domestic and foreign new releases. The other floor, or top floor, is dedicated to the café/restaurant. Visitors can enjoy the summer terrace and enjoy their food while reading their new bought book(s). 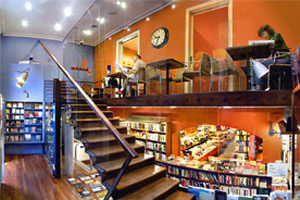 Overall this café/bookstore hybrid has a funky and different feel that has captivated the local population, as well as the visiting population. Laie is open on Monday to Fridays from 9am to 9pm and Saturdays from 10am to 9pm. This cocktail bar/library/bookshop/tea parlour hybrid is as cool as it gets. Literal translation of Catalan meaning lover of literature, its slick steel and glass design would have you thinking this is a place to enjoy a soothing cocktail instead of a book. 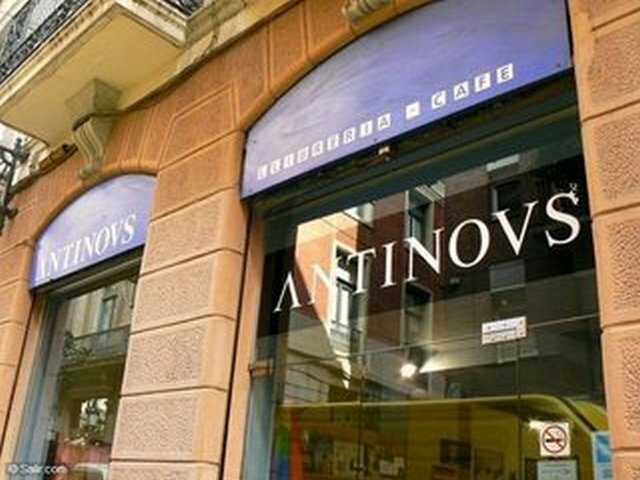 Venture in and you will find a large selection of books in Catalan, Spanish, English and mostly French. These books can be read or bought while enjoying a cocktail or tea at one of their round tables. There is a heavy French influence in this bar thanks to the owner’s origin and being the son of writer Romain Gary and actress Jean Seberg. For a little taste of nearby France in Barcelona, this is the perfect place to enjoy an amazing book! At the southern end of Les Ramblas there is a café/library that specializes in gay and lesbian books. It is well known in the gay community and to locals nearby. Enjoy a great cup of coffee while reading a new book or chat with locals and other visitors to the store. This shop is popular thanks to lively nature, constant events, book presentations and exhibitions. Enjoy sushi while you read in this Barcelona café/library/restaurant. This restaurant is futuristic, yet traditional, and emerges these qualities into their food. It also emerges Japanese culture with western culture for an authentic and unique taste found nowhere else. Only here can you eat sushi while checking out their personal library, perfect for a quick Japanese vacation. 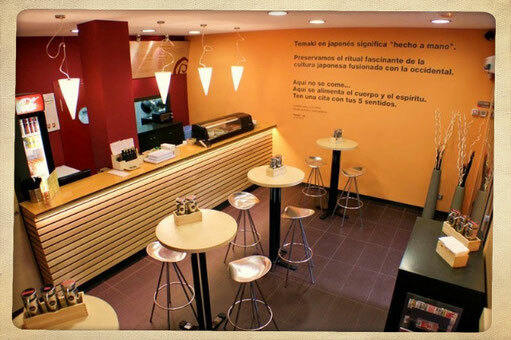 Located in the heart of El Born this futuristic sushi/library is fascinating and captivating to lovers of literature. Exploring Barcelona is the highlight of any stay with its different arts and culture aspects. But, one thing people from Barcelona love as much as art is a good book with a warm cup of coffee while enjoying the peaceful sounds of a store. These unknown Barcelona literature treasures are special that even local writers and artists would approve of them. Have a lovely stay in our familial aparthotel in Sarrià!